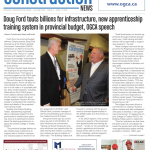 Welcome to https://ontarioconstructionnews.com (the “Website”)/ This Website, hosted and maintained by 2650547 Ontario Ltd. serves as a construction trade newspaper for professionals of the construction industry, intended to provide resources that will facilitate the provision of up-to-date information among the Website’s users. This Website is designed for users over the legal age of majority in their country of residence. Youth under the age of 18 (or the age of majority in your country of residence) are not permitted to subscribe for and use the Services (as such term is defined hereinafter) offered on this Website. The Website intends to perform the following functions: (i) provide its users (which term shall always include but not be limited to, those users who subscribe for the Services) with a newspaper serving the province of Ontario’s architecture, engineering and construction community with tender/bidding opportunities and other project leads (collectively referred to hereinafter as “projects,” and singularly referred to as a “project”); (ii) provide comprehensive coverage of news and issues relating to the construction industry in the province of Ontario; and (iii) provide its users with a space where they can publish certificates and provide notice to construction industry professionals with respect to the status of projects on which they have performed work (collectively referred to hereinafter as “publications,” and singularly referred to as a “publication”), or other Content (as such term is defined hereinafter) (the “Services”). Whether you are looking for information on the status of a project, or whether you wish to post a publicaton, this Website is a place for all types of users to connect with each other. Any update to the above Services or any new services offered by 2650547 Ontario Ltd. through the Website and not yet defined herein shall be subject to the TOU. In exchange for your use of the Website, you agree to provide true, accurate, current and complete information about yourself when we ask for such information. You further agree to provide true, accurate, current and complete information with respect to any information or publications that you may post or promote on the Website. If you provide any information that is untrue, inaccurate, not current or incomplete, or 2650547 Ontario Ltd. has reasonable grounds to suspect that such information is untrue, inaccurate, not current or incomplete, 2650547 Ontario Ltd. has the right to remove your information from our database and refuse any and all current or future use of the Website (or any portion thereof). If you obtain access to a subscriber account, you are responsible for maintaining the confidentiality of your Website password and account, and assume all liabilities and responsibilities for any and all activities that occur under your account. 2650547 Ontario Ltd. collects personal contact information (name, e-mail address, province/state/region, country and organizational information pertaining to organizations with which users are affiliated) when you sign up for the Website and its Services. This information is used to fulfill your request to join the Website community, make use of the Services, respond to your inquiries, and (if you agree) update you on opportunities relevant to you. 2650547 Ontario Ltd. may also collect user credit card information, which will be used to process payments made by users for: (i) subscribing for the Services; and (ii) posting publications or other Content (as such term is defined hereinafter). All information, files, publications, documentation, or other materials of any kind whatsoever (collectively, “Content”), uploaded to the Website is the sole responsibility of the person from which such Content originated. This means that you are responsible for any Content that you upload, post, or otherwise make available via the Website (2650547 Ontario Ltd. will not be responsible). 2650547 Ontario Ltd. does not guarantee the accuracy, integrity or quality of such Content. Under no circumstances will 2650547 Ontario Ltd. be liable in any way for such Content, including, but not limited to, for any errors or omissions in any Content (e.g. should a user post the incorrect address in a publication), or for any loss or damage of any kind incurred as a result of the use of any Content posted, e-mailed, transmitted or otherwise made available via the Website. 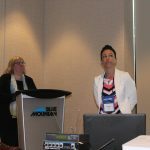 You are solely responsible for determining the suitability of the Website and the Services for your business or organization and complying with any regulations laws, or conventions applicable to any Content and your use of the Website (including but not limited to the Construction Act (Ontario), as may be amended from time to time). 14) “Stalk” or otherwise harass another user of the Website or other person. You further acknowledge and agree that any Content that you upload to the Website will, upon such time that such Content ceases to be current (which will be determined in the sole discretion of 2650547 Ontario Ltd.), be archived by 2650547 Ontario Ltd. and shall remain available to all users of the Website until such time as the user who uploaded such Content (or the organization with which such user is affiliated), provides 2650547 Ontario Ltd. with a written request to remove the Content from the Website. All Content that a user wishes to upload or post to the Website must be approved by 2650547 Ontario Ltd. first, in its sole and absolute discretion. Only after such approval is given will the Content of any user appear on the Website. Notwithstanding the foregoing you acknowledge that, although 2650547 Ontario Ltd. will make best efforts to evaluate and screen Content with the aim of providing high quality Services, 2650547 Ontario Ltd. may not pre-screen Content, and 2650547 Ontario Ltd. shall have the right (but not the obligation) in their sole discretion to refuse or remove any Content that is available via the Website. Without limiting the foregoing, 2650547 Ontario Ltd. and its Website administrators shall have the right to remove any Content that violates these TOU or is otherwise objectionable. You agree that you must evaluate, and bear all risks associated with, the use of any Content, including any reliance on the accuracy, completeness, or usefulness of such Content. In this regard, you acknowledge that you may not rely on any Content submitted to 2650547 Ontario Ltd.
You acknowledge and agree that 2650547 Ontario Ltd. may preserve Content and may also disclose Content if required to do so by law or in the good faith belief that such preservation or disclosure is reasonably necessary to: (a) comply with court order, legal process or the inquiry of any court, administrative proceeding, regulatory body or other judicial proceeding; (b) enforce these terms of service; (c) respond to claims that any Content violates the rights of third-parties; or (d) protect the rights, property, or personal safety of 2650547 Ontario Ltd., our visitors and the public. The Website is not designed as the primary place to store any Content, and 2650547 Ontario Ltd. is not responsible for the alteration, deletion, or loss of any stored Content. Create back-ups for any Content you contribute to the Website. 2650547 Ontario Ltd. does not claim ownership of Content you upload or make available for inclusion on the Website. However, with respect to Content you upload to the Website, you grant 2650547 Ontario Ltd. and the Website’s users the a perpetual and irrevocable worldwide, royalty free and non-exclusive license to use, distribute, reproduce, modify, adapt, prepare derivative works of, sublicense, publish, translate, publicly perform and publicly display such Content (in whole or in part) for the purpose of delivering the Services and the Website. 2650547 Ontario Ltd. assumes no responsibility or liability over the sharing of Content among users. Any Content provided by you to 2650547 Ontario Ltd. or its Website administrators may be freely used by 2650547 Ontario Ltd. and other users of the Website. Ways in which your Content may be used include, but are not limited to, creating informative posts concerning publication details, comments, articles, documents, FAQs, or knowledge bases. 2650547 Ontario Ltd. shall have the right to retain and use Content, in edited or unedited form, for any purpose in any way including but not limited to reposting such Content to other websites operated by 2650547 Ontario Ltd., using Content in current or future products or Services, or compiling statistical data concerning user patterns as regard to the Website’s Services. Therefore, do not upload Content to the Website unless you agree to the TOU. All Content is deemed to be provided on a non-confidential basis. 2650547 Ontario Ltd. is under no obligation to and does not control the Content created, provided, or uploaded to the Website. The nature of some Content may be offensive, harmful or inaccurate, and in some cases will be mislabeled or deceptively labeled. 2650547 Ontario Ltd. reserves the right to take down and remove Content that is flagged by users or deemed by 2650547 Ontario Ltd. as objectionable. However 2650547 Ontario Ltd. is under no duty to take down or remove any Content. Users seeking to access information about publications may do so free of charge. Users seeking to post or upload Content or publications for which they are the publisher may do so in exchange for the fees set out on the Website by 2650547 Ontario Ltd. or its administrators from time to time. Any fees for Services will be paid for by by credit card or cheque upon invoicing by 2650547 Ontario Ltd.
You agree to indemnify and hold 2650547 Ontario Ltd. and its respective affiliates, officers, agents, co-branders or other partners, and employees, harmless from any claim or demand, including reasonable legal expenses, made by any third party due to or arising out of Content you submit, post, upload or make available through the Website, your use of the Website, your connection to the Website, your violation of the TOU, or your violation of any rights of another. For greater certainty, such indemnification shall extend to, but shall not be limited to, claims by third parties made as a result of an alleged misrepresentation or inaccuracy contained in the Content that you submit, post, upload or make available through the Website, even if arising from 2650547 Ontario Ltd.’s own negligence. You further agree to indemnify and hold 2650547 Ontario Ltd. and its respective affiliates, officers, agents, co-branders or other partners, and employees, harmless from any claim or demand, including reasonable legal expenses, made by any third party due to or arising from any damages, costs or losses incurred by such third party as a result of any ruling made that the Website or the Services do not qualify as a construction trade newspaper (as such term is defined under the Construction Act (Ontario)). 2650547 Ontario Ltd. and its Website administrators will, from time to time and in connection with providing the Services set out herein to its users, provide links to other World Wide Web sites or resources on the Website. Because 2650547 Ontario Ltd. has no control over such sites and resources, you acknowledge and agree that 2650547 Ontario Ltd. is not responsible for the availability of such external sites or resources, and does not endorse and is not responsible or liable for any Content, advertising, products, or other materials on or available from such sites or resources. You further acknowledge and agree that 2650547 Ontario Ltd. shall not be responsible or liable, directly or indirectly, for any damage or loss caused or alleged to be caused by or in connection with use of or reliance on any such Content, goods or services available on or through any such Content. In addition, 2650547 Ontario Ltd. reminds you that some content and links on the Internet contain inappropriate material, such as malware or adult content that is not suitable for children and may be offensive to some users. The TOU constitutes the entire agreement between you and 2650547 Ontario Ltd., and governs your use of the Website, despite any prior agreements between you and 2650547 Ontario Ltd. You also may be subject to additional terms and conditions that may apply when you use affiliate services, third-party content or third-party software. The laws of the Province of Ontario and the federal laws of Canada applicable therein shall govern the TOU, and the relationship between you and 2650547 Ontario Ltd. You and 2650547 Ontario Ltd. agree to submit to the personal and exclusive jurisdiction of the courts of the Province of Ontario located within the City of Ottawa, Ontario. The failure of 2650547 Ontario Ltd. to exercise or enforce any right or provision of the TOU shall not constitute a waiver of such right or provision. If any provision of the TOU is found by a court of competent jurisdiction to be invalid, the parties nevertheless agree that the court should endeavor to give effect to the parties’ intentions as reflected in the provision, and the other provisions of the TOU remain in full force and effect. 2650547 Ontario Ltd. reserves the right at any time to modify or discontinue, temporarily or permanently, the Website (or any part thereof) or any of the Services provided therein with or without notice. You agree that 2650547 Ontario Ltd. shall not be liable to you or to any third party for any modification, suspension or discontinuance of the Website or the Services. You agree that 2650547 Ontario Ltd., in its sole discretion, may remove your information from our database system or terminate your use of the Website, and remove and discard any Content from the Website, for any reason, including, without limitation, if 2650547 Ontario Ltd. believes that you have violated or acted inconsistently with the letter or spirit of the TOU. 2650547 Ontario Ltd. may also in its respective sole discretion and at any time discontinue providing the Website, or any part thereof, with or without notice. You agree that any termination of your access to the Website under any provision of this TOU may be effected without prior notice, and acknowledge and agree that 2650547 Ontario Ltd. may immediately deactivate or delete your information from our database system and/or bar any further access to the Website. Further, you agree that 2650547 Ontario Ltd. shall not be liable to you or any third-party for any termination of your access to the Website. Your use of the Website is at your sole risk. The Services and the Website are provided on an “as is” and “as available” basis, and 2650547 Ontario Ltd. expressly disclaims all warranties of any kind, whether express or implied, as to any matter whatsoever, including any implied warranties of merchantability, fitness for a particular purpose, quality, accuracy, and title with respect to the Services and the Website. Without limiting the generality of the foregoing, 2650547 Ontario Ltd. does not warrant that the Services or the Website will be error-free, will meet your requirements, or will be timely or secure. Without limiting the foregoing, 2650547 Ontario Ltd. does not make any representation or warranty whatsoever that the Website or the Services will qualify as a construction trade newspaper (as such term is defined under the Construction Act (Ontario) or its regulations). Any Content relied upon through the use of the Services is done at your own discretion and risk, without any warranty of any kind, and you will be solely responsible for any damage that results from such reliance. Any users who choose to upload Content to the Website are responsible for ensuring that such Content contains all necessary information, and for reviewing such Content once published on the Website for errors and omissions. If a user gives 2650547 Ontario Ltd. notice of any errors and omissions included in any Content, 2650547 Ontario Ltd. will, upon receipt of such notice, thereafter make best efforts to correct such errors and omissions within a reasonable period of time, but 2650547 Ontario Ltd. will bear no liability whatsoever for any error or omission, including a failure to publish any certificate or notice, however caused and even if arising from 2650547 Ontario Ltd.’s own negligence. 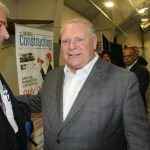 Furthermore, 2650547 Ontario Ltd. will bear no liability with respect to any damages, costs or losses incurred by any users or third parties as a result of any ruling made that the Website or the Services do not qualify as a construction trade newspaper (as such term is defined under the Construction Act (Ontario)). No advice or information, whether oral or written, obtained by you from 2650547 Ontario Ltd. or through or from the Website shall create any right, obligation or warranty not expressly stated in the TOU. You expressly understand and agree that 2650547 Ontario Ltd. shall not be liable for any direct, indirect, incidental, special, consequential or exemplary damages, including but not limited to, damages for loss of profits, goodwill, use, data or other intangible losses resulting from: (i) the use or the inability to use the Website; (ii) the cost of procurement of substitute goods or services resulting from any goods, data, information or services downloaded or messages received or transactions entered into through or from the Website; (iii) unauthorized access to or alteration of your transmissions of data; (iv) statements or conduct of any users or third parties on the Website, including but not limited to any false information contained in any user’s Content; OR (v) any other matter relating to the Website, the Content uploaded the Website, or the Website’s Services. Please report any violations of the TOU to 2650547 Ontario Ltd. at: abuse@ontarioconstructionnews.com. You hereby agree to use best efforts to resolve any dispute with 2650547 Ontario Ltd. or any of its administrators that should arise with respect to your use of the Website and the Services, or with respect to the interpretation of these TOU, and shall endeavor to do so within 30 days of receipt of a written notice by one party to the other of the existence of such dispute. In case no settlement can be reached through consultation within 30 days after such dispute is raised, the parties will thereafter refer the matter to an independent mediator, as chosen between the parties, for resolution. If the parties are unable to agree on a choice of mediator or if the dispute is not resolved within 15 days after the commencement of mediation, then the matter will be settled by arbitration pursuant to the laws of the Province of Ontario in the City of Ottawa, following the arbitration and conciliation procedures set forth in the Arbitration Act, 1991 (Ontario). In such event the parties will agree upon a qualified independent third party arbitrator, who may not be the mediator previously chosen above, and any decision rendered by such arbitrator with respect to the dispute shall be final and binding.